Versatile, portable and cool. 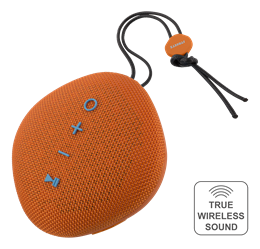 With this wireless speaker design in STREETZ, you and your friends can enjoy music on the go. 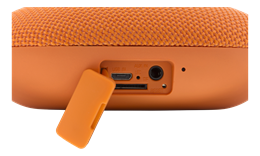 Despite its size will 6W loudspeaker to give you many hours of music and also works as a speakerphone. Smoothly, when you do not have to pick up your mobile phone on incoming calls. This speaker has TWS (True Wireless Sound) functionality. 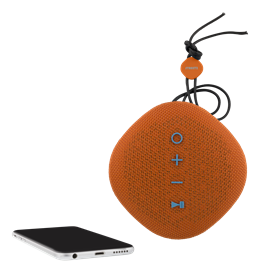 This means two speakers can be connected to each other wirelessly and function as a 2.0 speaker system. Note This only works if the speakers are of the same model! Now you can enjoy music coming out of both speakers and use them as a wireless stereo system!